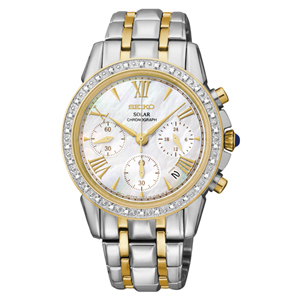 This fashionable Ladies watch with a white Mother-of-Pearl face is highlighted by 8 diamonds set as the markers. 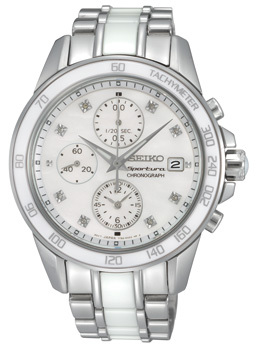 A stainless steel and white ceramic case & band give this watch a beautiful modern flare. 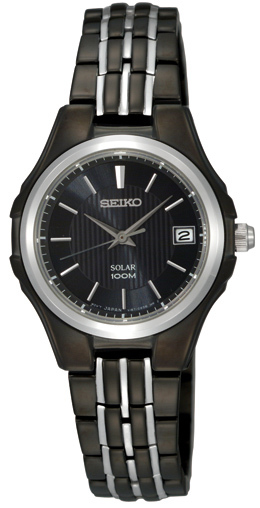 A small window on the watch face displays the day of the month. 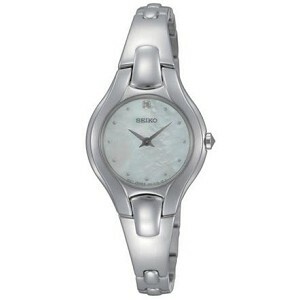 The face of this watch is a larger 38mm for a more dramatic modern large look. The link band is long lasting and comfortable to wear. 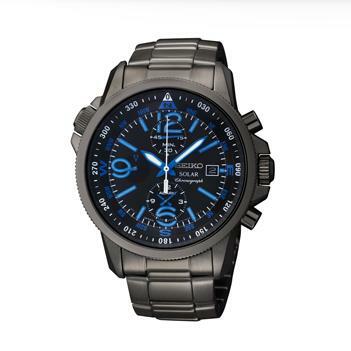 This model has a chronograph which allows for stop-watch style functions, and a tachymeter scale on the bezel which allows one to compute speed (based on travel time) or distance (from speed).